What is international science and how does it function? This book answers these questions through a detailed study of international congresses on genetics held from 1899 to 1939. It presents a portrait of international science as a product of continuous interactions that involved scientists and their patrons within specific political, ideological, and disciplinary contexts. Drawing on a variety of archival sources - ranging from Stalin's personal papers to the records of the Gestapo and from the correspondence among scientists in different countries to the minutes of the Soviet government's top-secret meetings - it depicts the operations of international science at a time of great political tensions. 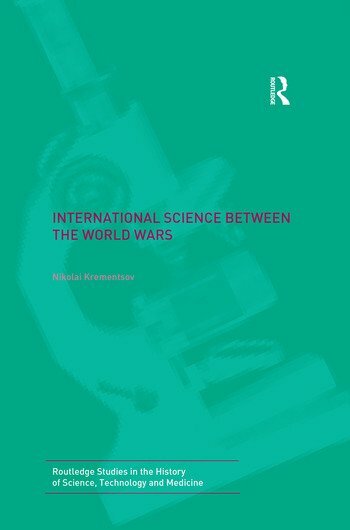 Krementsov breaks with the view of science as either inherently national or quintessentially international, examining instead the intersection between national and international agendas in scientists' activities. Focusing on the dramatic history of the Seventh international genetics congress, he investigates contradictions inherent to scientists' dual loyalties to their country and their science. Through analysis of negotiations among three groups of actors involved with the organization of the congress, Krementsov examines the role of ideologies, patronage, and personal networks in the operations of international science. Nikolai Krementsov is an Associate professor at the Institute for the History and Philosophy of Science and Technology, University of Toronto. He lives in Toronto and St Petersburg with his wife and daughter. He is the author of Stalinist Science and The Cure: A Story of Cancer and Politics from the Annals of the Cold War.